Genetically modified crops have proliferated many of the world’s agricultural sectors. While there are several countries that continue to prevent the cultivation of GM crops due to lack of safety testing and trials, some countries have already embraced it. There are certain reports going out regarding the effects of using such GM crops without putting them into stringent safety testing. One recent study involved GM soybeans and its effect on goat offspring. A recent study was conducted to investigate the effects of GM crops on the animal population. The study involved goats fed with GM soybeans to determine its possible effects. 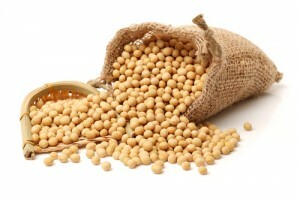 Soybeans are widely used for feed among livestock and other animals aside from human consumption. The researchers discovered that feeding GM soybeans on goats led to reduced body weight of its offspring. Researchers from Italy who fed goats with genetically modified soybeans reported a 40 percent reduction in immunoglobulin G, an important immune system substances found in the goat mother’s milk and blood serum of kids. The reduction possibly led to kids born with reduced weight from goat mothers that were fed with GM soybean meal. It has been seen in previous studies that GM plants may have an effect on the immune system of other animals such as mice, rats, pigs, and fish. In addition, certain DNA sequences from the GM soybeans that were resistant to digestion found its way into the goat mother’s milk. Transgenic DNA fragments were also seen to increase in samples taken from goats fed with GM soybeans. The same target DNA fragments were not found in goats fed with conventional soybean meal. Further investigations might be needed to investigate the matter. Goats may react differently when fed with GM crops as compared to cows with regards to the transfer of DNA fragments or the impact on their immune systems. While it has already been 20 years since genetically engineered crops were first introduced in agriculture, no study has yet been conducted to determine its real impact on the human population.